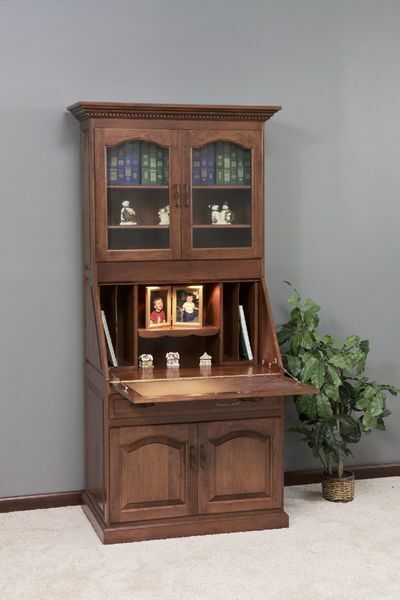 The solid wood Secretary Desks here at DutchCrafters all have a timeless design that has been around for generations, but is still a popular and functional style that provides a useful work station in any room of your house. Simply fold down the desk top and this unique piece of furniture transforms from a regular storage cabinet into an all-in-one work station. Have the front of your secretary desk engraved with a custom engraving to add a personal touch to this new addition to your home furniture collection.